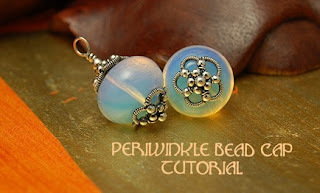 Perri is one of my favorite wire workers, her designs and creativity constantly challenge and inspire the imagination. 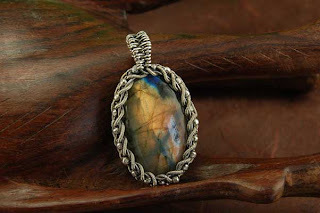 Now I am a self taught wire wrapper – when I started more than 20 years ago, techniques were these closely guarded secrets, no one was willing to share. So I learned by studying finished pieces to work out the techniques for myself. Most of what I see today, I can figure out – not to copy – but for my own need to learn and understand. And not to say, that most designs are simple, and easily re-creatable – that’s not what I mean – I am just very good at visualizing it in my head, since that’s how I learned wire in the first place. Perri’s designs however continue to elude and astound me. 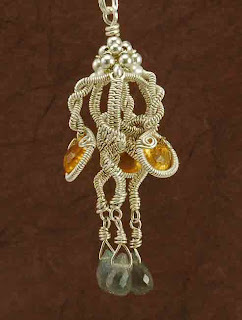 Another point – I live, breath, and dream about wire and designs – it is my passion. I can’t count the hours I’ve spent experimenting with what wire can and can not do. Perri designs have sent me back to the drawing board on those ideas too. 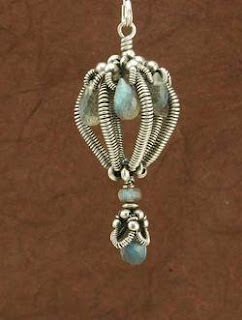 I study her pieces, and can’t help think, “you shouldn’t be able to do that with wire”, but she does – time and again. 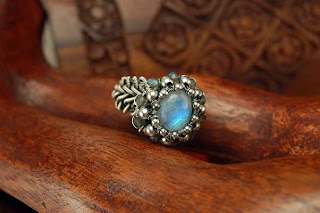 She shares some of her wonderful designs in her shop on Etsy ShaktipajDesigns, and if that doesn’t provide enough eye candy for you, many wonderful, wonderful pieces can be found on her blog. Thanks for visiting – see ya soon…..
very beautiful, happy new year.